All 16 teams for the VELUX EHF Champions League Groups A and B and further 11 sides for Groups C and D have been confirmed as the EHF Executive Committee in Zagreb reached its decision on the teams taking part in the 2017/18 season. There is just one place undecided, with the winner of the qualification tournament joining either Group C or Group D.
In the anniversary 25th edition of the Europe's premier club competition the same playing system as last year will be used with 28 participants. After evaluating all record-breaking 43 registered teams according to a criteria system that looked at eight different fields including past performances, venue, spectator, TV, marketing and media issues, the EHF Executive decided on the teams for Groups A and B, teams for Groups C and D and the qualification teams. Based on the criteria catalogue eight requests for upgrades of the EHF Cup clubs have been approved. 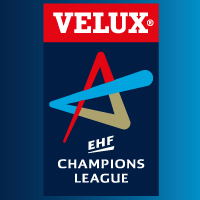 THW Kiel (GER), Orlen Wisla Plock (POL) and HBC Nantes (FRA) will join German runners-up SG Flensburg-Handewitt, Hungarian runners-up MOL-Pick Szeged and 11 national champions including the defending winners of the VELUX EHF Champions League HC Vardar in Groups A and B.
Ademar Leon (ESP), Montpellier Handball (FRA), HC Metalurg (MKD), Skjern Handball (DEN) and RK Gorenje Velenje will play in Group C or D alongside six national champions and one qualifier. The remaining twelve requests including the Dutch champions OCI Lions were not granted. In total, there will be seven former winners of the EHF Champions League (Vardar, Barcelona, Kiel, Flensburg, Celje, Montpellier and Kielce), when the group phase of the new season commence on 13-17 September. The last participant will only be known on 3 September following the qualification tournament. The draw for the qualification phase will take place on Thursday 29 June at 11:00 hrs at the EHF Office in Vienna and will be streamed on ehfTV.com but also on ehfTV youtube channel and EHF Champions League Facebook page. As there will be just one qualification group, the semi-final pairings have been automatically determined by the seeding and only the right to organise the tournament will be drawn on Thursday. The group phase draw will follow on Friday 30 June at the Ljubljana castle and handball fans will be able to watch the event live on the same channels as the the qualification draw. A draw preview and the seeding list with pots will be published at the beginning of the coming week at eurohandball.com and ehfCL.com.